The Parma Bed Frame by Verona features an attractively curved headboard and footboard offering effortless style into your bedroom. The simplistic yet highly attractive design ensures that this bed would make an excellent statement in kids rooms and master bedrooms alike. 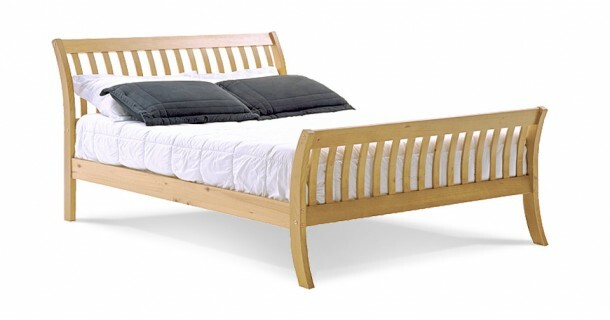 The Parma Bed Frame by Verona is made from pine and offers a strong, robust and long lasting frame. Please quote this Products's code 81011B to speed up your query if related.